It’s that time of year again! Dive-In Larnaca is officially open for business and ready for the coming season. Over the winter the shop and classroom were painted, cylinders serviced, brand new school regulators set up, and the boat had its annual service. It has been a very wet few months here in Cyprus, so we have enjoyed less winter diving than usual. As such the staff are excited for our first group of customers who arrive at the end of the week. In the meantime we are putting the final touches to the refreshed shop display, cleaning and polishing, making sure everything is ready for what promises to be another busy year. If you haven’t booked your dives with us yet, don’t delay! Spaces in our boat are limited and we wouldn’t want you to miss out. Call Dive-In Larnaca on +357 24627469, drop us a message on Facebook, visit www.dive-in.com.cy or email us on [email protected] . Recycling is the buzz-word at Dive-In Larnaca this season, and we’re well and truly fed-up with plastic bottles and tin cans littering our regular dive sites. So we thought we’d better clean up our own act, and step one was installing a recycling station in the office. We now separate plastic and glass (recycled by the local council), aluminium cans (donated to ‘Cans for Cats’ neutering programme), plastic lids (collected by local charities) and batteries. We also make use of the local paper and card recycling skip for our delivery boxes. That’s as well as recycling all the batteries staff and customers use through the ΑΦΗΣ scheme. 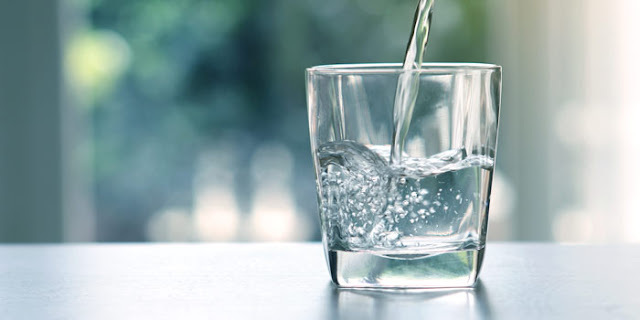 We have a “FREE WATER” policy for all our customers. In addition if customers do not have their own water bottles, we are providing a refillable, collapsible water bottle that is theirs to keep. 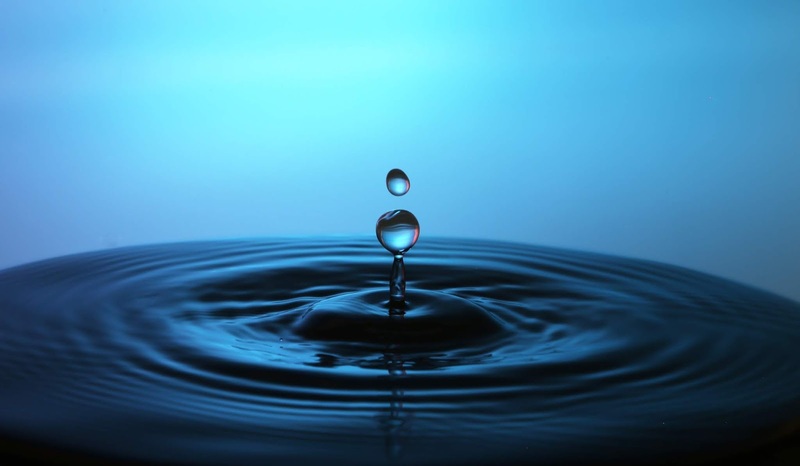 This has already reduced the number of small disposable plastic water bottles that we hand out on a daily basis. And for those of you doing SDI/TDI courses we use e-cards in an attempt to remove more plastic from the environment. This week Chris F has been diving the wreck with Dawn from St Albans, UK. 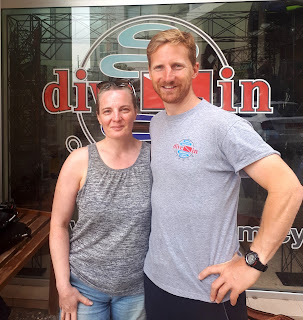 On Tuesday, Dawn let slip that she had completed her 500th dive, so we thought we would find out a bit more about her diving exploits, and in particular what she thinks of the Zenobia. Dawn is an accomplished Tec Trimix diver, and has been exploring the Zenobia’s technical routes over the last few days, however her first ever dive was a complete accident. On a sailing holiday in Greece 10 years ago, a day without wind resulted in a pool try dive. When she ventured out into the open water, rather than seeing lots of fish Dawn remembers being fascinated by all the bubbles! 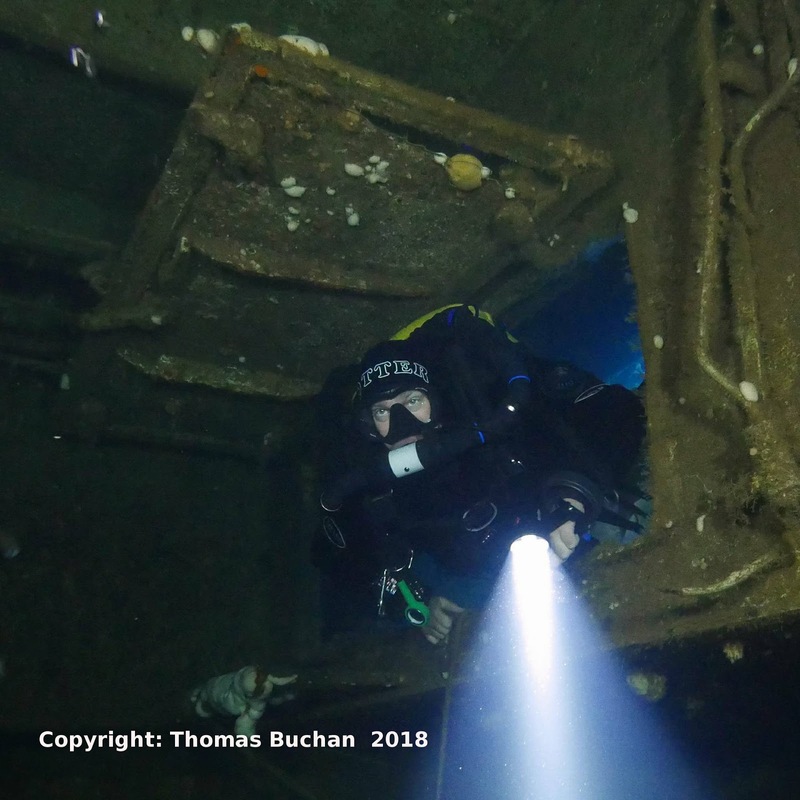 It was then to cooler climes for her Advanced OW course in Scapa Flow; an odd choice you may think, however Dawn loves the Orkney Isles and found that the good visibility led to a passion for wreck diving. Dawn did her PADI Tech 40, 45 and 50 courses 4 years ago, completing her 50m dive at the National Diving Centre in Chepstow. 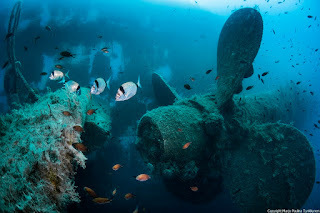 Although we couldn’t persuade Dawn to pick her favourite dive, she certainly enjoys wreck diving, naming Scapa Flow, Truk Lagoon and the Red Sea as some of her most memorable. And lucky for us, the Zen has made it into her top three. 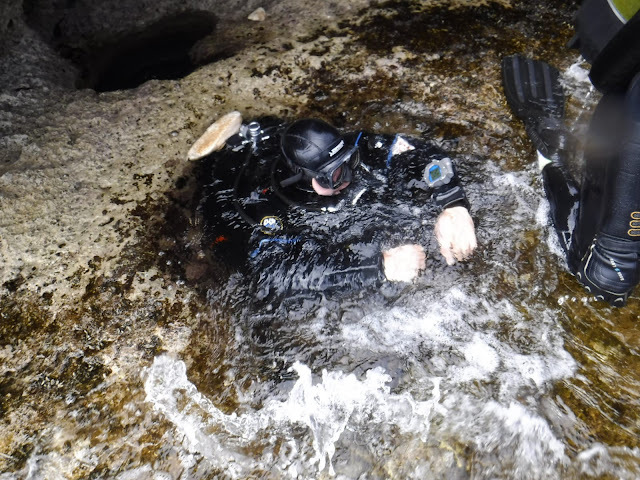 A new season means new kit, and what better way to kick things off than with a review of the Boss’s brand new drysuit, the Apeks Fusion KVR1 with Aircore. He’s been diving the original version of this suit for a couple of seasons, but fancied an upgrade to the latest model. It arrived at the shop last week and was wet within 24 hours. So what’s all the hype about? From the Apeks specification, the patented Twin Layer System suit boasts a ‘protective outer layer ballistic strength para-aramid synthetic fibre skin, and innovative AirCore breathable inner layer’ and ‘Seal Lock Technology (SLT) dry glove attachments system’ to make it one of the most robust but comfortable drysuits on the market. In layman’s terms the suit comes in two parts; the inner skin is the waterproof bit, made of a breathable trim-laminate material that keeps water out but allows vapour to escape, significantly reducing surface overheating. Over the top of this, the outer skin is made of ‘para-aramid’, a Kevlar® material characterised by high strength-to-weight ratio and cut resistance. This provides a flexible but durable shield, preventing wear and tear, and absorbing the majority of snags. The two layers can be quickly separated and joined via zips at the neck, cuffs and ankles, allowing for quicker drying or changing of the inner. Another big plus are the silicon neck and wrist seals with SLT dry glove attachments. Silicon seals are fast becoming the most popular drysuit seal, being far softer and more forgiving than traditional latex. They cannot be glued directly to the suit and instead require a ring attachment system. 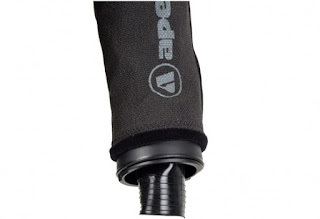 However this comes with its own benefits as it allows a ripped or damaged seal to be replaced in minutes by the user, or for a dry glove system to be attached in seconds. 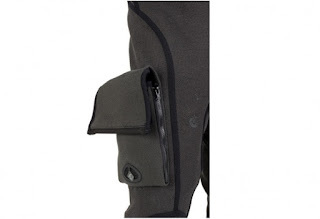 Other great features are the front zip, making it much easier to get on and off independently, large Twin-Zip expandable pockets with D-ring attachments and drainage, ankle zips for easy donning and a suspender system for maximum comfort. With reinforced mauser taped seams and protective armour at the shoulders, elbows, knees and seat leave, this latest suit from Apeks is specifically designed with rugged wreck and cave diving environments in mind. As Cyprus’s Apeks distributor, we have Apeks equipment in stock and can order any Apeks items for immediate delivery (if you pay shipping) or as part of our bi-monthly orders. To begin with we went right back to basics and asked if anyone could remember their first diving experience. Chris F and Sheri both did Try Dives on the Great Barrier Reef, and the Boss jumped off the back of a yacht in the British Virgin Islands. He remembers the visibility being amazing and looking down on white sand in all directions. Marina’s first dive was less exotic but far more relevant, during her Open Water course right here in Cyprus. We then wanted to know what everyone’s most memorable dive was. Straight away Phil highlighted the Zenobia, recalling one of his first dives on her as a qualified Divemaster. 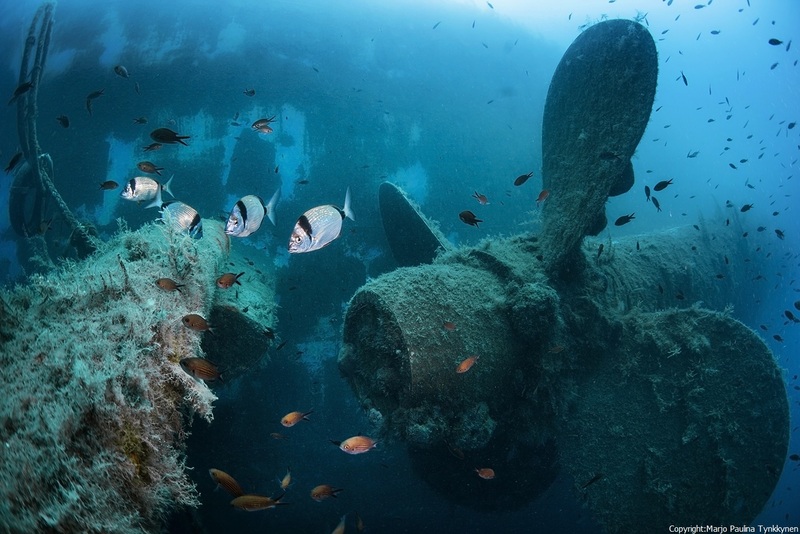 We’re so lucky to have one of the best wrecks in the world on our doorstep. 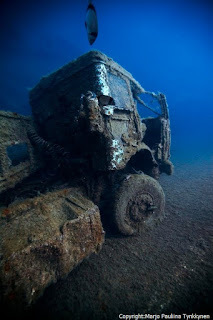 Gill then told us about diving the Cenotes in Mexico, and Chris F talked about the Liberty Wreck in Bali. Marina topped us all by describing a dive she did at Koh Bon, Thailand. She was on her safety stop and a manta ray appeared and flipped around her in a big circle before swimming off. Our team really do have some worldwide diving experience. And then a slightly trickier questions. We asked everyone what they enjoy most about working at Dive-In Larnaca? Sheri loves the huge variety of customers, and really enjoys meeting and getting to know them as they pass through the centre. The Boss and Chris F both like the variety of diving. One day we’ll be guiding recreational divers on the wreck, the next it will be DSDs at Green Bay, then we could have a series of high level wreck penetration dives. No two days are the same. 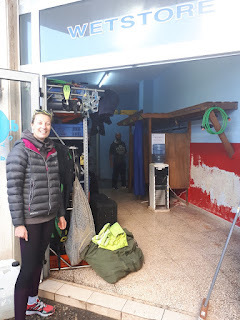 Gill pointed out that we are a small team with lots of different skills and responsibilities, so she is learning a lot about all aspects of diving; teaching recreational divers, guiding, learning tech diving skills, gas blending, servicing and maintenance, and so on. Nobody could make their mind up when we asked about their favourite part of the Zenobia. The Boss’s view is ‘the rustier the better’, whereas Chris F likes the Lifeboats as that’s where the fish hang out. Sheri recalled her first dive in the Middle Car Deck, and Marina and Phil both like exploring the Upper. Gill enjoys taking customers through the Accommodation. It’s normally their first dive inside and there’s load of interesting stuff to show them. And finally, we asked the all important question; If you could dive any celebrity, who would it be? Marina would love to dive David Attenborough, and then have a chat with him afterwards, while Chris F thinks taking Donald Trump down to 30m is a good idea! Sheri would love to have taken her Dad diving, and the Boss can’t make his mind up as there are too many people to choose from. 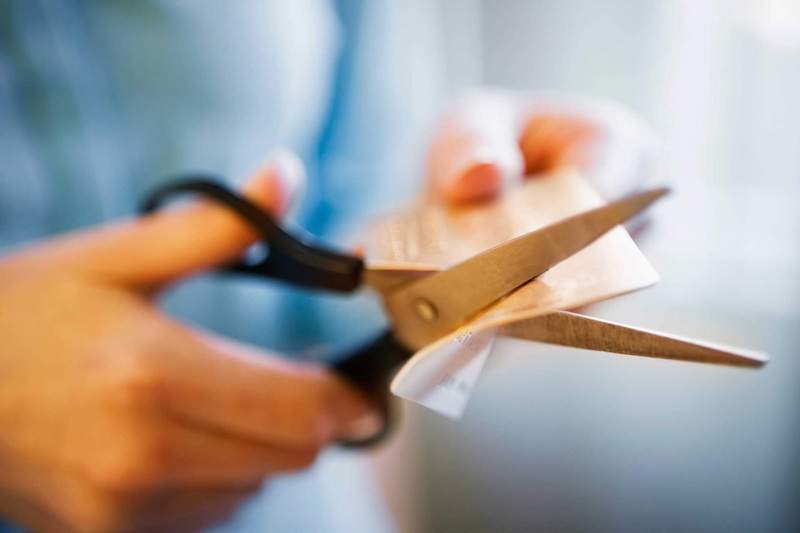 If there are any other burning issues that you need our staff to address, please do get in touch. Alternatively, you could book in for a dive an ask them yourself. See you soon! All is quiet at Dive-In Larnaca! No rails of drying suits; no equipment spread outside the shop; no noisy compressor charging bottles in between dives. But don’t be fooled…. behind the closed shop front we have been hard at work preparing for the start of the coming season, and as of the 1st March we are fully open and ready to welcome our first groups of the year. You may wonder what there is to keep us occupied over the winter, however just as our working day doesn’t end with the last dive, our season didn’t end when the last customers left in December. We have been hard at work over the past month or so, servicing, inspecting, painting, deep cleaning and scheduling this year’s dive programme. Not to mention finding time for staff training and a couple of fun dives. 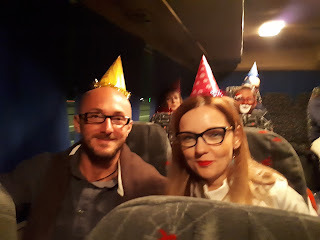 We even managed to squeeze in a Christmas party! So what’s new at Dive-In Larnaca this season? 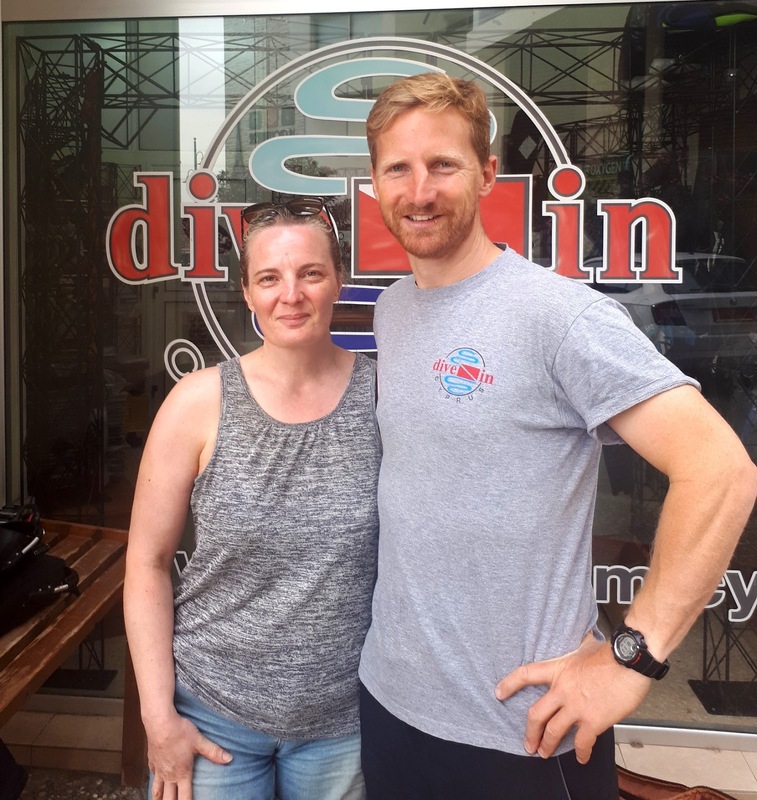 Well, we said ‘Goodbye’ to Alan and Wes at the end of last year, and welcome PADI Master Scuba Diver Trainer, Marina to the team. We’re also excited to be bringing a new brand of torches to Cyprus, after Chris’s successful visit to the Czech Republic in January. Tom and Sheri have invested in some new photography equipment, so keep an eye out for even better shots of us all under water. And after a very busy weekend at the Warsaw Dive Show, we’re all set to welcome new customers and old friends back to the fantastic Zenobia wreck. We can’t wait to get back in the water now that everything behind the scenes is ready to go. So what are you waiting for? Join us, and be a part of what is shaping up to be a fantastic year of diving, training and new adventures at Dive-In Larnaca. * based upon Zenobia dives on 12L air tank dives and exclude kit hire.